The pushup has been a standard part of being American. If you grow up in America and go to school, one of the first things you’re taught in gym class is how to do a pushup. Millions of Americans do pushups before work, during their lunch break, and at the gym. Because of pushups, we’ve mastered getting ripped pectorals, deltoids, and triceps. However, we’ve done horrible at managing stress. Millions of people in America are paying for an overstressed lifestyle: More than 25 million American suffer from diabetes, and some 74 million have high blood pressure. Stress shrinks our brains, may cause depression, and people who are stressed have higher risk for a stroke. This seems to be the culture of America; everything is go, go, go! No wonder the majority of heart attacks in America is on Monday morning. Another guy I know had band aids on his thumbs, from typing so many emails on his BlackBerry keyboard. He types more than 100 emails a day on the thing — the skin on his thumbs were actually peeling off. He was so stressed; it was difficult just to have a conversation with him. We don’t have to live like this; we can still be successful and relaxed at the same time if we incorporate meditation into our culture. There’s nothing wrong with a culture full of ambitious men and women; I just want to see more people relax. I teach meditation to a lot of very wealthy Type A personalities, and one of the things I see with Type As is a lot of them have forgotten how to breathe. The first thing I teach them is to breathe naturally. Simple mindful breaks throughout the day will do wonders to the culture as a whole. If we all looked at our breathing and checked in with ourselves throughout the day, we would feel a lot better. Here’s a simple meditation that anyone can do. 1. Find a comfortable place to sit in a chair, close your eyes, bring your awareness to your breathing. 2. Take a deep inhale. 4. Again inhale, bring your attention to all the feelings in your body in a non-judgmental way. 5. Exhale out, focusing on all the feelings in your body in a non-judgmental way. 6. Repeat those steps above. As you progress, work on bringing your breathing to its natural state. 7. Then, open your eyes and carry that feeling with you for the rest of your day. America is a culture that loves to win. If Americans want to continue to win, they better figure out a way to incorporate meditation into their schedule. Because as the statistics show, stress is cleaning house. To continue winning we have to incorporate meditation into our culture. Meditation is the new pushup. For more by Robert Piper, click here. via Robert Piper: Meditation: America’s New Pushup. Peek into a room of meditating people, and you will be struck by their stillness. They sit, eyelids lowered, with their backs straight and hands at rest, breathing slowly and evenly. Inside their brains, they are still and quiet, too, concentrating on their breaths, a phrase or an image. Oddly, this quiet activity, done consistently, has a powerful positive effect on people, physically, mentally and emotionally. In addition to relieving anxiety and stress, meditation has been found to reduce pain, lower heart rates, blood pressure and cholesterol levels, and reduce the risk of stroke or heart attack. As the pace of life quickens, more people are seeking relief in the centuries-old practice of meditation. Once an esoteric, religion-based practice, secular meditation is offered in many settings. It is often included in corporate wellness programs, and is being explored by the U.S. Marine Corps as a way to keep Marines healthy and improve their resiliency. The physical improvements appear to be caused by a decrease in stress and anxiety, which have been proven to have damaging effects on the body. Marine Corps officials are testing an eight-week course in “Mindfulness-Based Mind Fitness Training,” which may help Marines regain their equilibrium after stressful events. The program was developed by former U.S. Army Capt. Elizabeth Stanley, a professor at Georgetown University, who found that meditation and yoga relieved her Post-Traumatic Stress Disorder. It looks so simple, and yet the practice of meditation is complex enough to keep people mentally occupied for years, even decades. Bodian has meditated since the mid-1970s; Dennis Hohman of Orchard Park, who belongs to the Awakening Community, a group of mostly experienced meditators, has meditated for some 30 years. Anyone can meditate, nearly anywhere. Many experts suggest that beginners start by just sitting comfortably, closing their eyes and concentrating on their breathing. Beginners are astonished to find how difficult it is to calm their minds and focus on their breath for just 10 breaths at a time. As people concentrate on their breaths, they become present in their bodies, clearing their minds of fear, regret and anxiety. Hohman says he can look back and see how he has changed. “There’s been an enormous reduction of generalized fear and anxiety in my life,” he says. In his foreword to Bodian’s book, Dr. Dean Ornish writes that while “learning to meditate was one of the smartest decisions I ever made,” he is aware of the objections people who don’t meditate have about the practice. People who don’t meditate fear that it might be boring, esoteric or difficult, while Ornish counters that meditation is interesting, familiar, natural and powerful. But how is doing nothing and thinking of nothing not boring? “When you are sitting there, you are so busy – you can’t believe how busy you are,” says Battaglia. Western New York has quite a few meditation groups, which Hohman has seen burgeon from just one or two groups when he started meditating in the 1980s. While many meditation groups are rooted in a spiritual tradition or even held in a place of worship, most commonly Buddhist, Bodian writes that every major faith has a tradition of meditation, including Christian prayer and Jewish contemplation. Nondenominational meditation is offered in many different venues. “Nowadays it’s very common to be able to learn meditation through mindfulness groups, or in community education classes at colleges,” says Bodian. Some day spas and yoga studios, where a few minutes of mindfulness practice are often offered at the end of each yoga class, also offer meditation opportunities. “There are now corporations that include meditation in their corporate wellness programs,” says Bodian. Simple meditation techniques provide powerful benefits – Life & Arts – The Buffalo News. Movement and Mindfulness 3 hour Intensive this Thursday! Introducing a new 3 hour Meditation Intensive called Movement and Mindfulness in West Seattle this July! Also coming to the UW in the Fall. Is this email not displaying correctly? This Thursday in West Seattle! Finally, summer in the PNW! What a glorious place to be! Hearing from friends and family in other parts of the country, I am reminded how blessed we are to have so much rain and mild weather. I wish we could share! Please hold in your hearts a moment of compassion for our distant neighbors and relatives who are struggling with wildfires, heat waves and drought. Breathe deep and release…. Interested in Meditation Research and Resources? Please visit my new blog! It’s the first and biggest challenge in learning to meditate. To make it easier for you, I can also come to your home or business. Either through one of my regular courses or a personalized session, I am honored to help you to develop your practice. I have structured my meditation courses to be a very basic introduction to the physiology and practical experience of meditation. I find that when beginning meditation, studying history and theory tends to over stimulate the mind. There is time during breaks or after class for any questions that arise. Please reply to this email if you have any problems with the website or suggestions or just to let me know what you think! 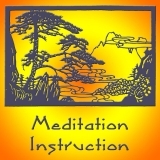 Ed and Deb Shapiro: The Best Friend You Will Ever Have: Meditation. Honestly speaking, we cannot imagine how our lives would be without meditation. As soon as we become still and quiet we enter a calm spaciousness within which our questions are answered while difference and dramas dissolve. Such stillness always comes as a great relief from the madness each day can contain. Some years ago we were attending a silent meditation retreat. Each day we were asked if we were feeling happier than we were the day before. The inquiring monk had a contagious smile, knowing that we were each confronting numerous obstacles to our happiness, primarily the ones in our own heads. Yet despite his humor, the monk’s question was sincere. If we were not beginning to feel happier from practicing meditation, then what was the point of doing it? We were asked the same question each day. To begin with this emphasized how preoccupied we were with inner confusion, doubts, conflicts, and discomfort, even how difficulties could actually feel more familiar than joy. Yet, why be there if we were struggling so much that we weren’t enjoying it? Our smiley monk was teaching us that it is vital to make friends with meditation, that it is not your adversary. Rather, meditation is a companion to have throughout life, like a best friend we turn to when things get hard to deal with and we are in need of inspiration, clarity, and even inner happiness. Admittedly, meditation can sometimes appear insurmountable, but it is our own mind that contains the obstacles, not the practice of sitting quietly, as the chattering mind can create endless dramas. Practicing meditation means slowly and gently training the mind to do something it may not have done before: be quiet and still. One way to overcome resistance and make meditation your friend is to start by just sitting for a few minutes at a time, instead of feeling you have to meditate and then feeling guilty if you miss the allotted time or only do 10 minutes when you had said you would do 30. It’s far more important to practice for just a few minutes and to enjoy what you are doing than to sit there, teeth gritted, because you have been told that only 30 minutes will have any affect. If your purpose is to try to achieve a quiet mind then the trying itself will create tension and failure. Instead, you are just with whatever is happening in the moment, whether it is pleasant or unpleasant. No judgment, no right or wrong. Watching whatever arises and letting it go is all that is required. It is more of an undoing than a doing. During meditation we gently let go of distractions so we can genuinely be present. Like a child watching an ant walking down the sidewalk carrying a crumb, that is all that exists in their world at that moment. They are not thinking about what they had for breakfast, or what they will do with their best friend at their next play date. They are only watching the ant. Meditation enables us to stop trying, to let go of the story, the dramas, our stressed mind, and to discover an inner easefulness. Some people describe this as a sense of coming home, as if they had been away or out of touch with themselves without even realizing it; others experience it as a huge relief as there is a release of anxiety and self-centeredness and they enter into a more peaceful state of being. And many feel as if they are simply hanging out with a good old friend, always there when needed. Can you see meditation as your BFF (best friend forever)? Do comment below. You can receive notice of our blogs every Thursday by checking Become a Fan at the top. If you would like to experience how meditation is your friend, join us for a four-week webinar starting July 9.